A posting on Amazon and Gamefly has revealed The Talos Principle is coming to PS4 on August 25, 2015 for $49.99. 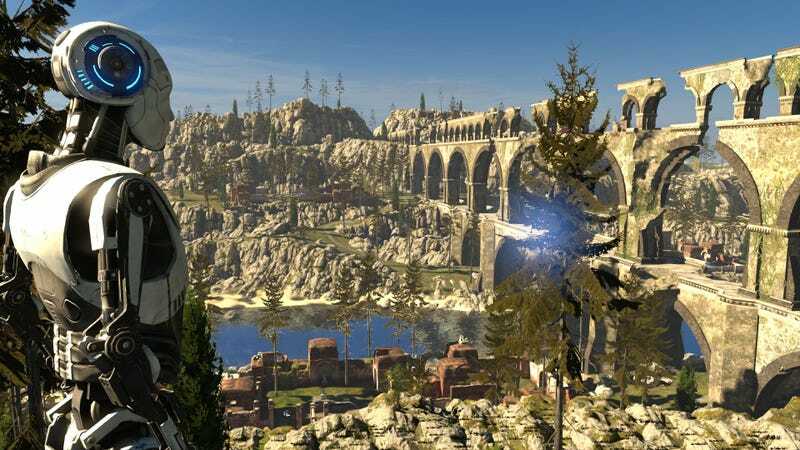 The Talos Principle is a philosophical first-person puzzle game from Croteam, the creators of the legendary Serious Sam series, written by Tom Jubert (FTL, The Swapper) and Jonas Kyratzes (The Sea Will Claim Everything). . As if awakening from a deep sleep, you find yourself in a strange, contradictory world of ancient ruins and advanced technology. Tasked by your creator with solving a series of increasingly complex puzzles, you must decide whether to have faith, or to ask the difficult questions: Who are you? What is your purpose And what are you going to do about it?